Some beautiful ladies have teamed up to bring you the ultimate beauty lovers giveaway. 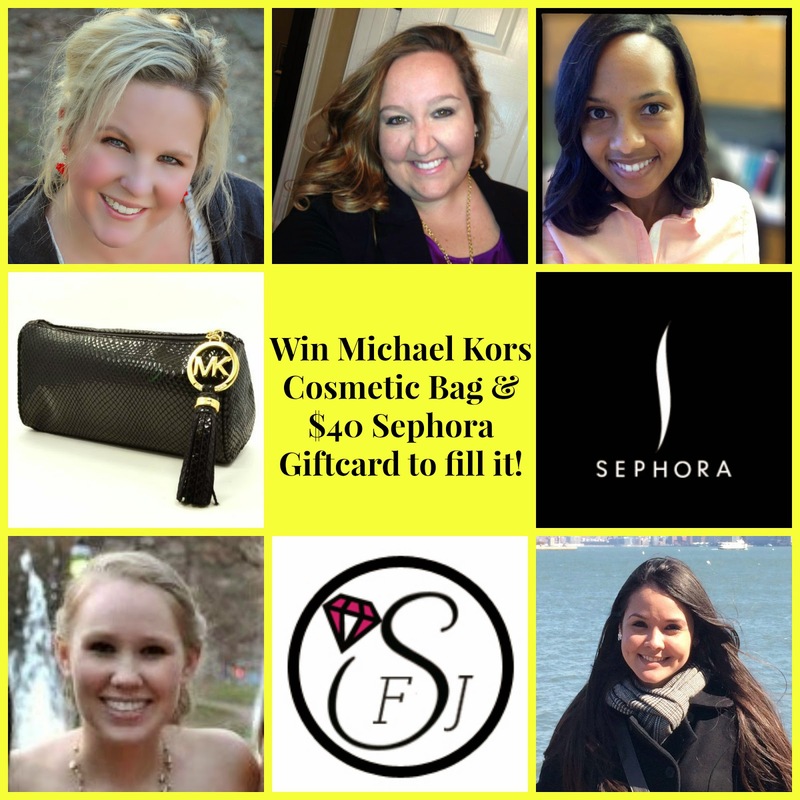 How would you like to win the Michael Kors cosmetic bag shown above and a $40 giftcard to Sephora to help you fill it? And if you win don't be a hoarder like me and "save it." What am I saving it for? I won a Sephora giveaway months ago and I still haven't used it. If anyone has any suggestions on what they like to buy there I'm all ears. If I won, I'd buy nail polish. You can never have enough! I'd buy new shampoo!! Oh I love their stuff! I'd pick up Tarte's Amazonian Clay foundation! I would buy makeup forever eyeliner, it is the best! I would put the money towards a new blow dryer! My current one is a Wal-Mart special, and it gets really hot without a lot of air--not good! Oh, oh! I would most certainly feed my Naked eyeshadow addiction, or better yet, another tube of Watt's Up! by Benefit. Thank you for hosting!